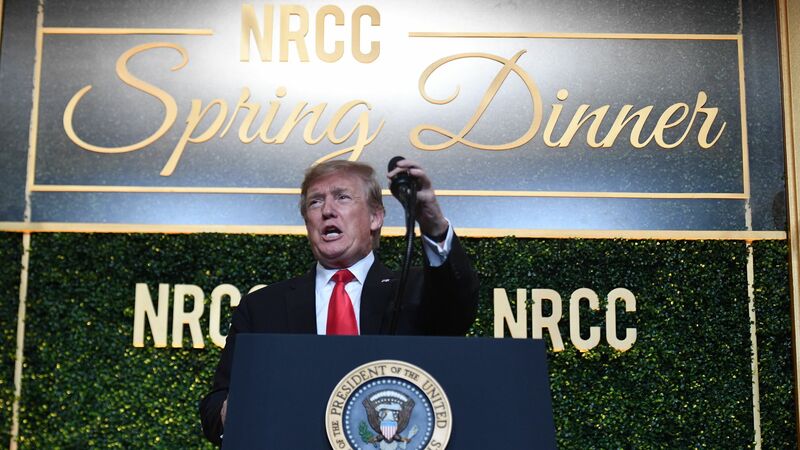 President Trump was in buoyant campaign mode at the National Republican Congressional Committee's annual spring dinner Tuesday. Details: Trump declared Republicans would "take the House back" in 2020 and the GOP was working on an as-yet undisclosed "great" health care plan to be voted on after the elections. He dismissed Democratic candidates as "socialists" and mocked former Vice President Jo Biden over allegations of unwanted contact with women. 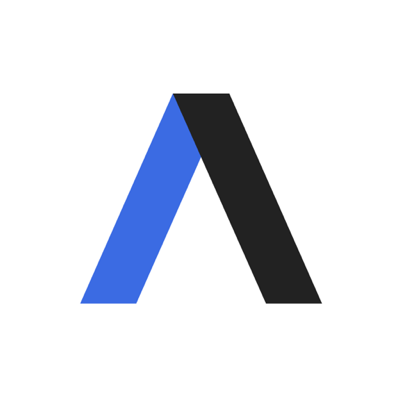 Why it matters: As Axios' Mike Allen notes, Trump's margin for error in the 2020 presidential election is much smaller than 2016, because he's being squeezed from the north and the south. At the NRCC dinner, he geed up the crowd with his declaration that he was "going into the war with some socialists." On the southern border, Trump said he "really wanted to close it," but he has relented because Mexico has "apprehended over a thousand people today, at their southern border and they’re bringing them back to their countries." On voter fraud, the president implied without further elaboration or evidence that Democrats had previously won close races. "We've got to watch those vote tallies," he said. On healthcare, Trump declared the GOP would become the "champion of pre-existing conditions." On China, the president said he gets along with his Chinese counterpart Xi Jinping "great" and once called him "king" during a 2017 state visit to Beijing. Xi pointed out he's not a king. "I said, 'No, you're president for life, and therefore you're king'," Trump told the crowd. "He said, huh. He liked that." On Biden, Trump said he's the only 2020 Democratic candidate who's a "non-, sort of, heavy socialist" is "being taken care of pretty well by the socialists." Biden has yet to enter the race. Trump recounted once telling a general to give him a kiss. "I felt like Joe Biden, but I meant it,” Trump said, to laughs from the audience. Trump also made reference to sexual misconduct accusations leveled against him during his 2016 campaign in which a tape resurfaced of him discussing grabbing women's bodies. "I was going to call him," he said of Biden. "I don’t know him well; I was going to say, ‘Welcome to the world, Joe. You having a good time, Joe? You having a good time?" On the Green New Deal, the president mocked the proposal and Rep. Alexandria Ocasio-Cortez (D-N.Y.), who's spearheading it. "The Green New Deal, done by a young bartender, 29 years old. The first time I heard it I said, 'That’s the craziest thing.' You have senators that are professionals that you guys know that have been there for a long time ... and they’re standing behind her shaking. They’re petrified of her."